I've said it before but I'll say it again: there's no better way to see the United States than by taking to the road. Road tripping is the ultimate way to explore America, and there's no shortage of options whether you want to travel for 10 days or 10 months. Certain US road trip routes are more popular than others, though; we've all heard of Route 66 and California's Highway 1. You've maybe looked into driving through the American Southwest, or perhaps through New England in the fall. 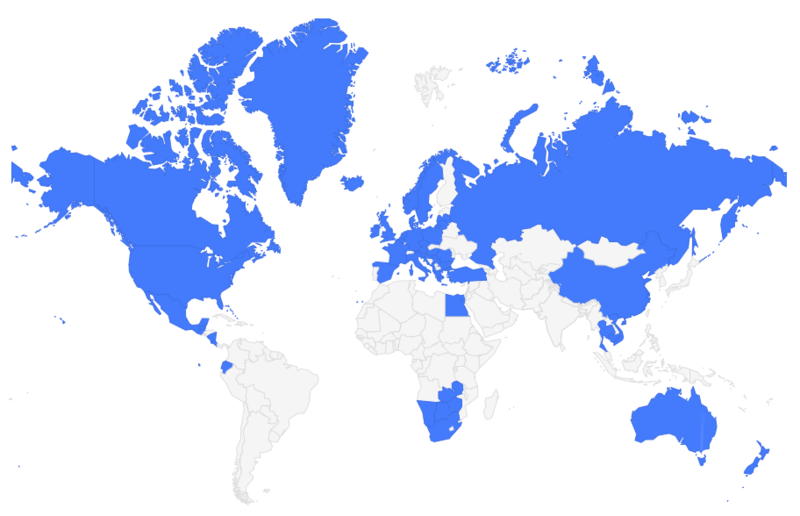 But what about the states that tend to be overlooked? While Utah and California and even Florida have great road trip potential, the truth is that there's something to see in EVERY state in this union. Which is why my sister and I decided to tackle a slightly less-popular road trip route last summer: we decided we wanted to focus on the northern states that never seem to get enough love. States like Montana, Wyoming, North Dakota, and South Dakota. These four states are some of the least-populated in the US, and yet they're home to some of the most stunning national parks, the quirkiest cities, and some of the nicest people. If you're interested in a unique US road trip route this summer, consider one like this. You can technically start this northern road trip in a handful of different cities (my sister and I actually drove from where we live in Ohio), but in order to really get the most out of the time you have, I highly recommend starting/ending in either Minneapolis, Minnesota, or Sioux Falls, South Dakota. Sioux Falls is ideal if you can find decent flights there since it will save you some uninspiring driving. 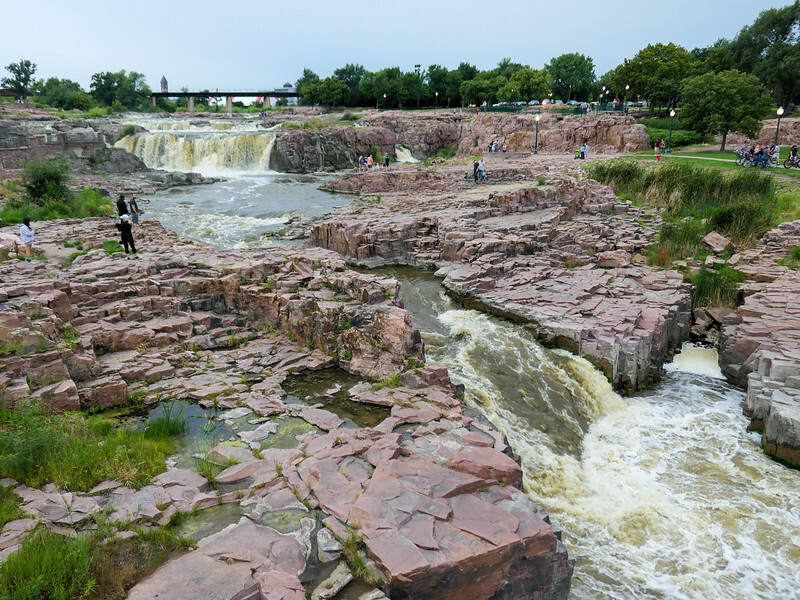 Sioux Falls is the largest city in South Dakota, making it a great starting point for a road trip through this part of the US. The city is known for the spot where the Big Sioux River cascades over huge slabs of pink quartz (in a place inventively named Falls Park), and has a history dating back thousands of years. Native Americans called the area home centuries ago, and you can still find some of their burial mounds in Sherman Park. If you have some time to explore today, start out with a walk along the Big Sioux River to Falls Park to admire the city's namesake waterfalls. Afterwards, you could visit the Japanese Gardens, tour the Pettigrew Home & Museum if you like stately old houses, or perhaps visit a brewery or two since, yes, craft beer has taken off in South Dakota, too. Where to stay in Sioux Falls: My sister and I stayed at the Country Inn & Suites in Sioux Falls because of its close proximity to the river and Falls Park. 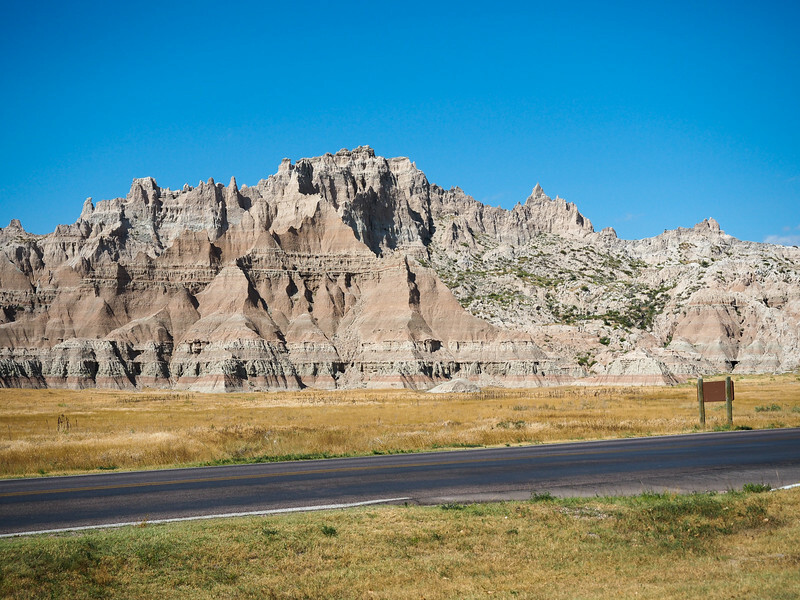 Hop on I-90 today after breakfast so you can get to Badlands National Park by lunchtime. In my opinion, this is one of the most underrated national parks in the United States! Stop for a quick lunch at the Cedar Pass Lodge before entering the park (try the Indian Frybread Tacos! ), and then you can spend most of the afternoon/early evening exploring. The great thing about Badlands National Park is that there are lots of shorter walks/hikes that don't take a lot of time but do show you some of the best landscapes. I recommend the Door Trail and Window Trail (both less than a mile round-trip) to start with, and the short Cliff Shelf later in the park. There's also the Loop Road to drive, with several overlooks, pull-outs, and prairie dog “cities” along the way. I also recommend stopping at the Ben Reifel Visitor Center to see the Fossil Prep Lab, where they work on the many fossils found in the Badlands. 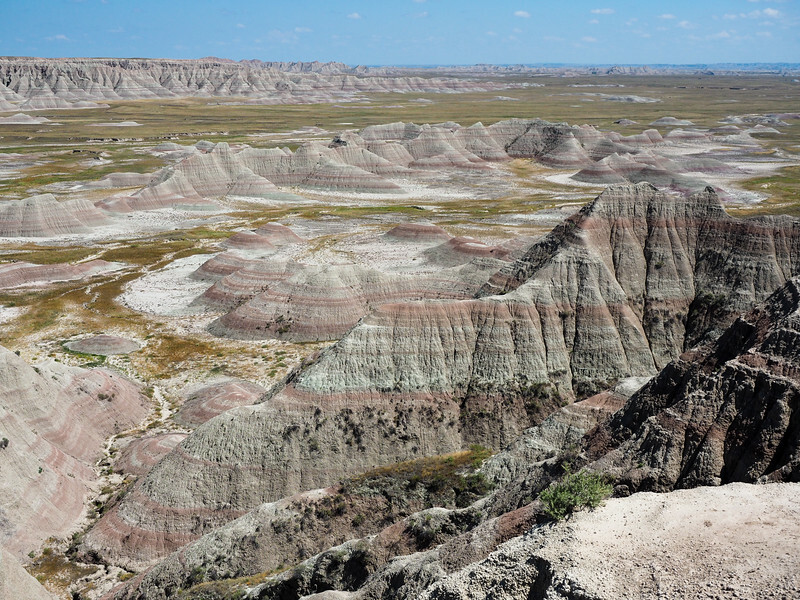 Just one note: There's little shade in the Badlands, meaning it can get HOT during the summer. Be sure to bring plenty of water with you, even on the shorter walks! 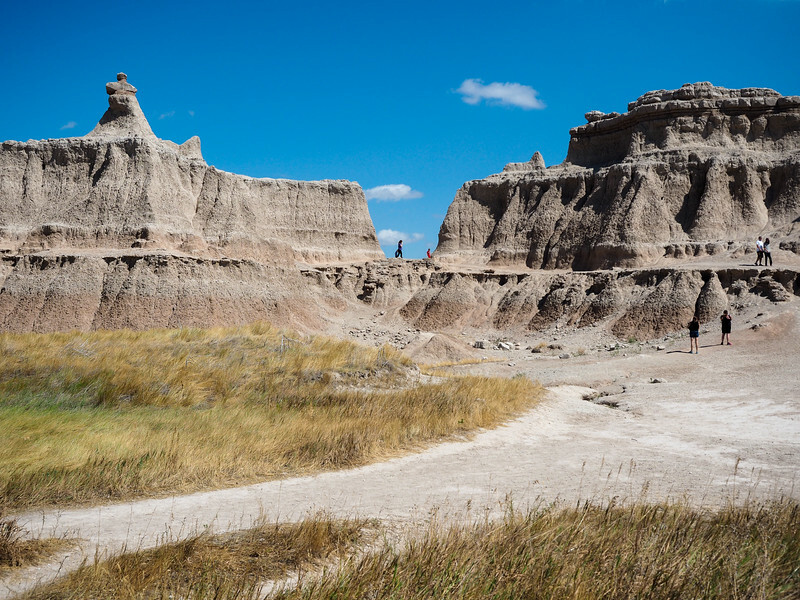 From the Badlands, you'll head back to I-90 in the direction of Rapid City. But there's one more stop you should make on the way, and that's at Wall Drug. Wall Drug is the perfect example of the American can-do attitude. Thanks to shameless self-promotion, Wall Drug grew from a tiny drug store into a tourist attraction that now covers an entire city block. 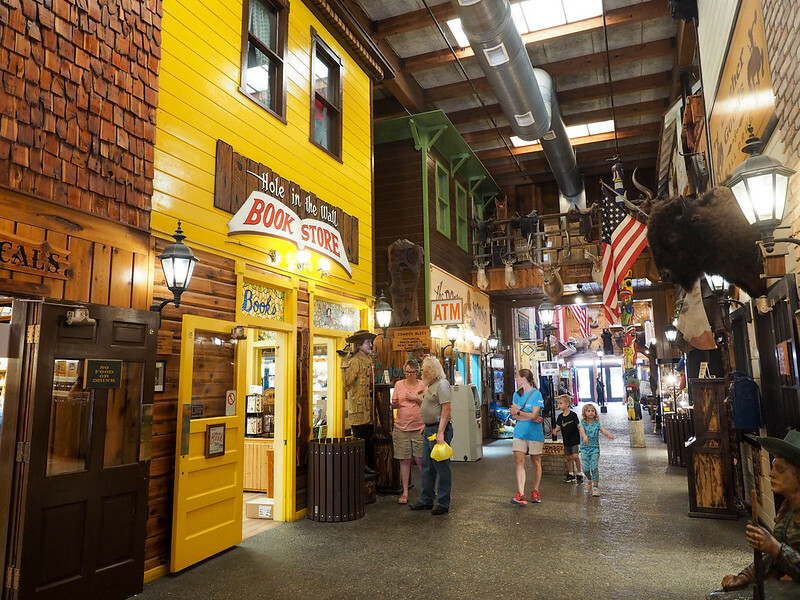 Wall Drug became famous for its free ice water and 5-cent coffee (both of which you can still get there), and now is a must-visit roadside attraction for all sorts of kitschy Americana. If you're hungry, you could grab a quick bite here for dinner before continuing on to Rapid City for the night. Where to stay in Rapid City: The Comfort Suites Hotel is the top-rated one on TripAdvisor, but if you prefer your hotels with a little character and history, then I recommend checking out either the The Rushmore Hotel & Suites or the Hotel Alex Johnson, both of which have central locations in downtown Rapid City. 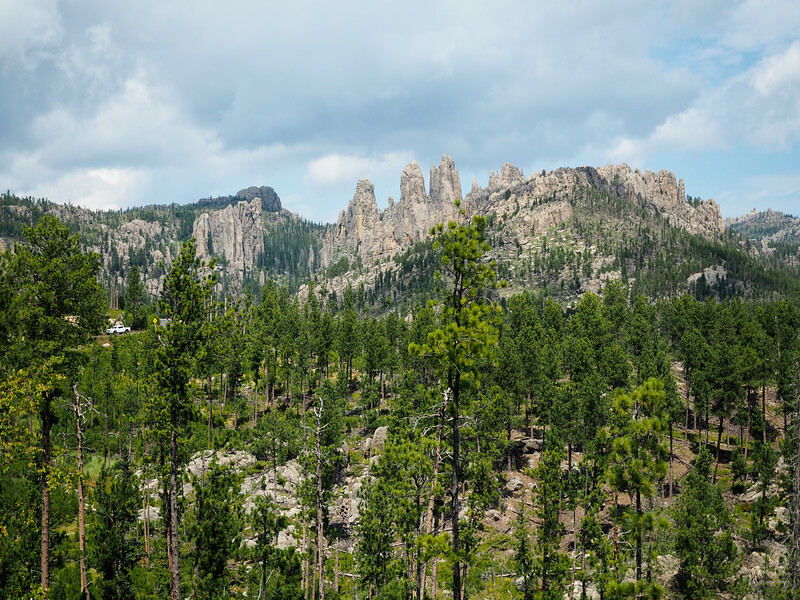 While Rapid City is pretty cool in its own right, I promise you won't regret spending today seeing some of the other highlights in the Black Hills. I recommend packing a picnic lunch today. Start your day off with a visit to Mount Rushmore National Memorial, the famous rock carving dedicated to four influential US presidents. 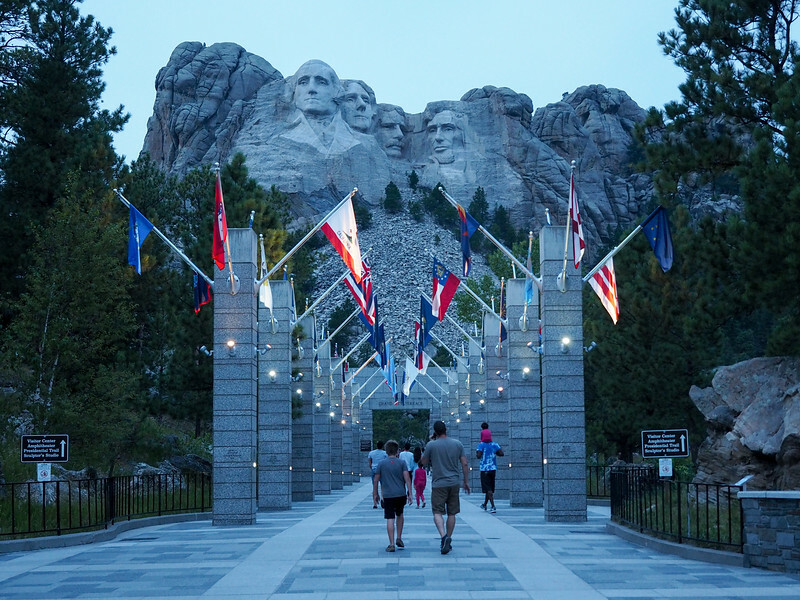 Watch a film at the Lincoln Borglum Visitor Center to learn about how and why Mount Rushmore was carved, and walk the short Presidential Trail. Usually you can also visit the studio where artist Guzton Borglum worked from 1939 to 1941, but the studio is currently undergoing renovations until May 2019. From Mount Rushmore, continue south to Custer State Park, possibly my favorite part of the Black Hills! There is an entry fee to this park (it's not covered by a National Parks Pass), but it's well worth the cost. After lunch, continue on to the Needles Highway (Route 87), which curves and winds through 14 miles of spindly rock formations called “Needles.” Plan to go slow and stop at least a few times for photos. 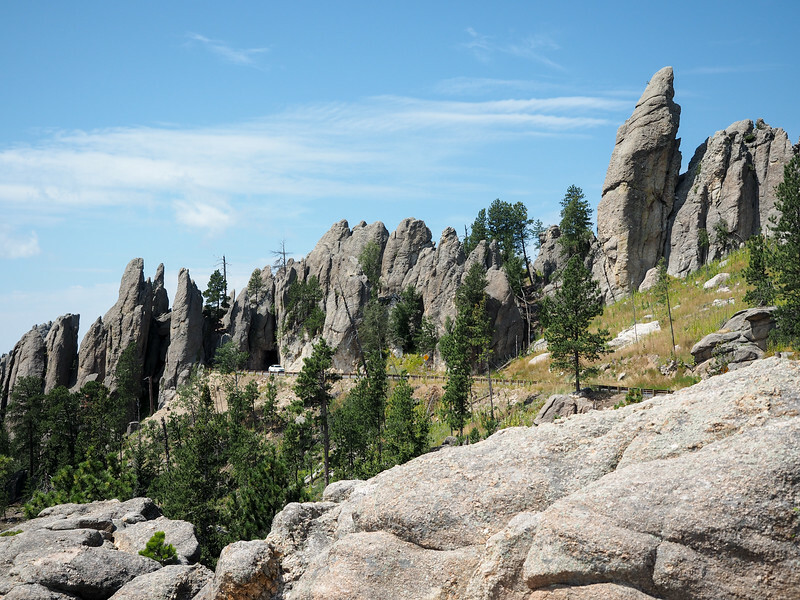 After the Needles Highway, continue south to the town of Hot Springs, South Dakota, where you'll find the Mammoth Site. 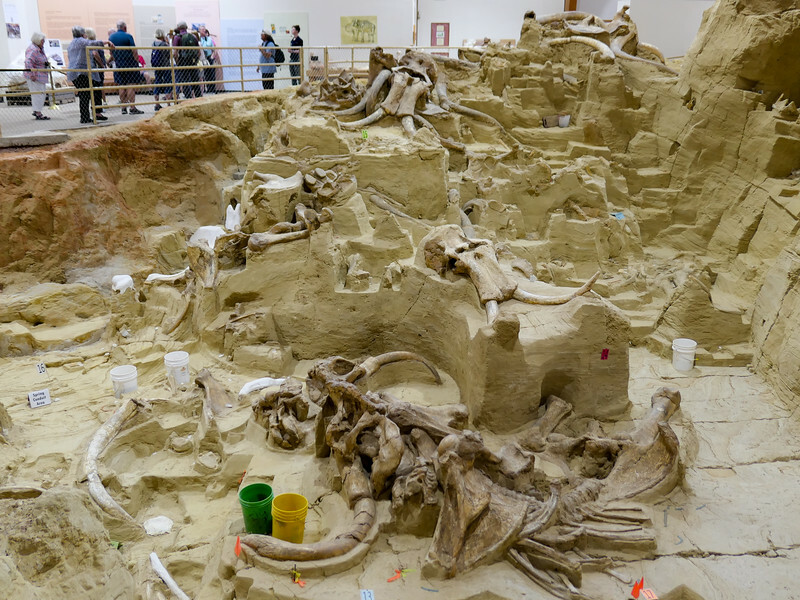 This is a super cool active paleontological dig site containing the world's largest concentration of mammoth bones (actual bones, not fossils!). The current visitor center/dig site sits atop what was a sink hole 26,000 years ago, and you can take a tour to learn more about mammoths and see what they've uncovered up close. This is one of my favorite things we did in South Dakota. Where to stay in Hot Springs: I recommend staying in Hot Springs tonight, simply for the sake of convenience. Check out the historic Red Rock River Resort, which is within walking distance of restaurants and some other sites in Hot Springs. Roughly 10 minutes north of Hot Springs sits Wind Cave National Park, home to one of the longest caves in the world. Wind Cave is one of the oldest national parks in the US – and also the first cave to be designated as a national park anywhere in the world. You'll probably want to take a ranger-guided cave tour here, and since the tour tickets are sold on a first-come, first-served basis each day, I recommend going first thing on Day 4 – you should be able to get on a morning tour with no problem. 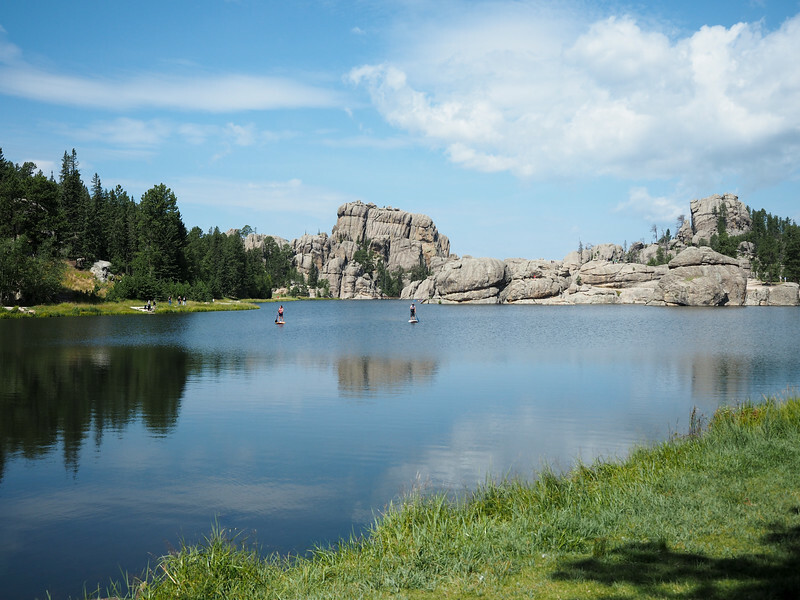 After your cave tour, head back north through the Black Hills and Custer State Park (the pass you bought on Day 3 is good for 7 days). 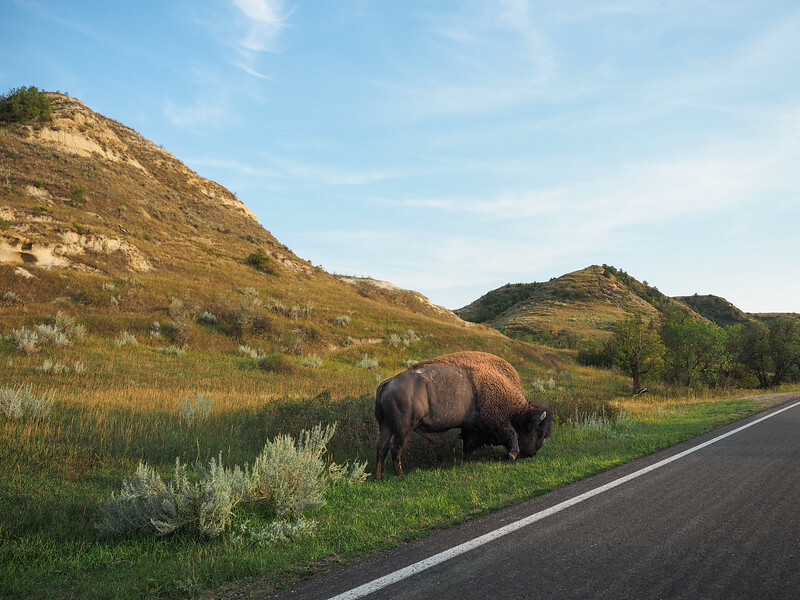 Custer State Park is known for its herd of bison (often called buffalo in South Dakota), so make sure to look out for them as you drive through the park today. Make a stop at the Crazy Horse Memorial on your way north on Highway 385. The Memorial was begun in 1948 by sculptor Korczak Ziolkowski, and his children are still working on the larger-than-life sculpture. Even though the sculpture is still a work in progress, you can visit the Crazy Horse Memorial Welcome Center, the Indian Museum of North America, the Native American Educational & Cultural Center, and the the sculptor’s workshop. This is also a good place to see/purchase native artwork and crafts, especially during the summer months. Spend another night back in Rapid City tonight; if you get in early enough, take some time to stop by Art Alley (a street art-filled alley between 6th and 7th streets downtown), or maybe visit Firehouse Brewing Co. (South Dakota's oldest brewery, which is housed inside a historic firehouse). Where to stay in Rapid City: Again, I recommend checking out either the The Rushmore Hotel & Suites or the Hotel Alex Johnson, both of which have central locations in downtown Rapid City. Today it's time to bid farewell to South Dakota and head over the state line into Wyoming. The main stop today will be at Devils Tower National Monument, which was the very first National Monument in the United States. You can't miss this incredible rock formation – literally, it rises up higher than anything else for miles, so there's no doubt once you see it. Stop in the visitor center to learn about the tower's formation (it's still a bit of a geological mystery! ), and about the Native American stories and legends that surround it (it's been a sacred spot for the Northern Plains Tribes for centuries). 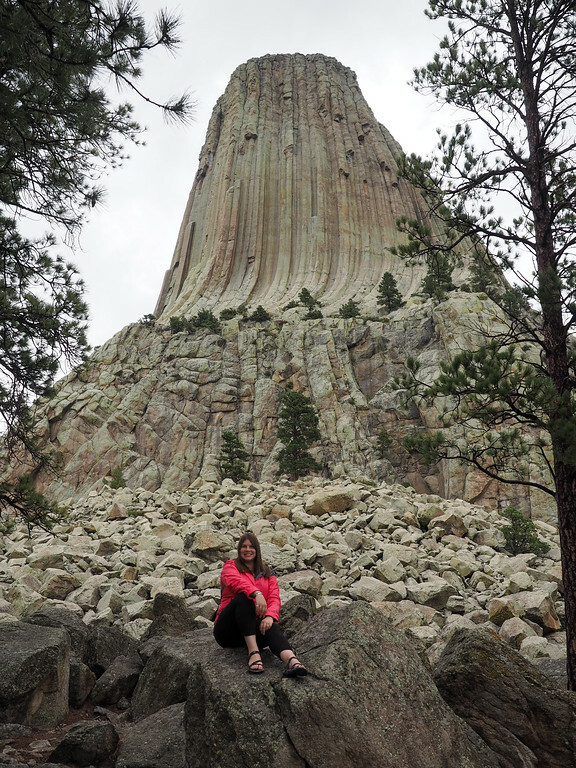 Then hit the 1.3-mile Tower Trail, which loops around the base of Devils Tower. If you're up for some more hiking, there are other trails that offer views of both the tower and the Belle Fourche River valley. 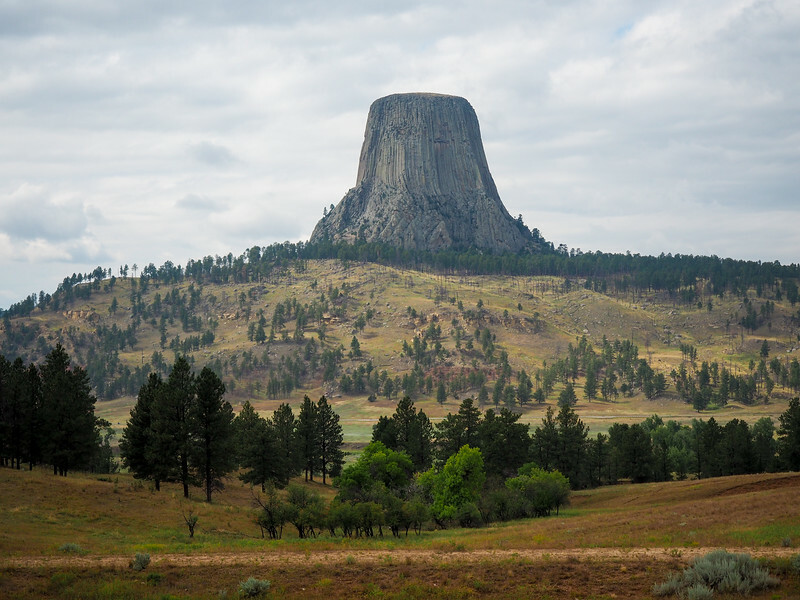 From Devils Tower, continue on to the town of Casper for the night. If you arrive early enough, consider visiting the National Historic Trails Interpretive Center to learn about the area's pioneer history. If you don't get in early enough, take a stroll through the city's historic downtown before dinner. Where to stay in Casper: The Best Western Plus Casper Inn & Suites is the top-rated Casper hotel on TripAdvisor. Today will be one of your longer driving days, so have a big breakfast and get an early start. If you're a history nerd like me, take the southwestern route out of Casper on Route 220 so you can make a quick stop at Independence Rock. For those who played Oregon Trail as a kid, this is THE Independence Rock! Many early pioneers stopped at this landmark, carving their names into the granite. 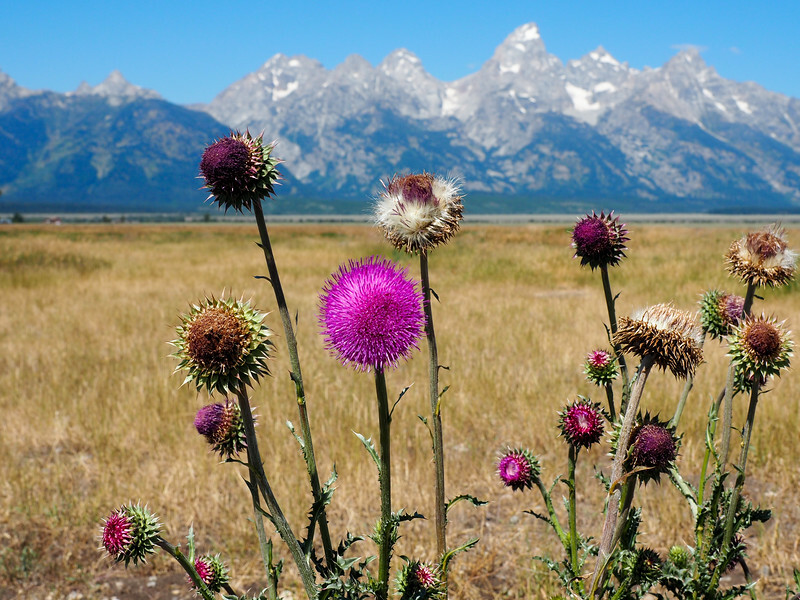 From there, head back to Route 26, which will lead you straight into Grand Teton National Park. You can spend the second half of the afternoon and early evening exploring the park. Hop onto Teton Park Road, headed south towards Jenny Lake Lodge. 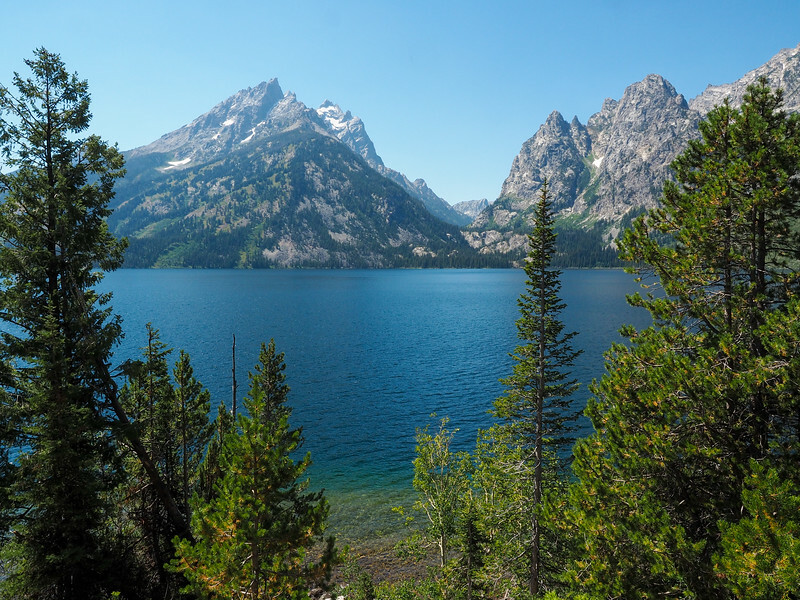 Take the one-way loop off the main road to visit Jenny Lake, or to do one of the shorter hikes to Leigh Lake (1.8 miles RT) or String Lake (3.7 miles RT). Later, make your way south, stopping at as many viewpoints are your heart desires. Stay in Jackson tonight so you can see the rest of Grand Teton National Park tomorrow morning. Where to stay in Jackson: Jackson is a resort town, meaning there are lots of accommodation options. The downside is that it's super popular in the summer months – meaning you'll want to book as far ahead as possible and plan to splurge. If you're going to splurge anyway, check out Huff House Inn and Cabins (#1 on TripAdvisor), Rusty Parrot Lodge and Spa, or the Wyoming Inn of Jackson Hole. Another early start today would be smart so you can see a little more of the Grand Tetons before you head up to Yellowstone. 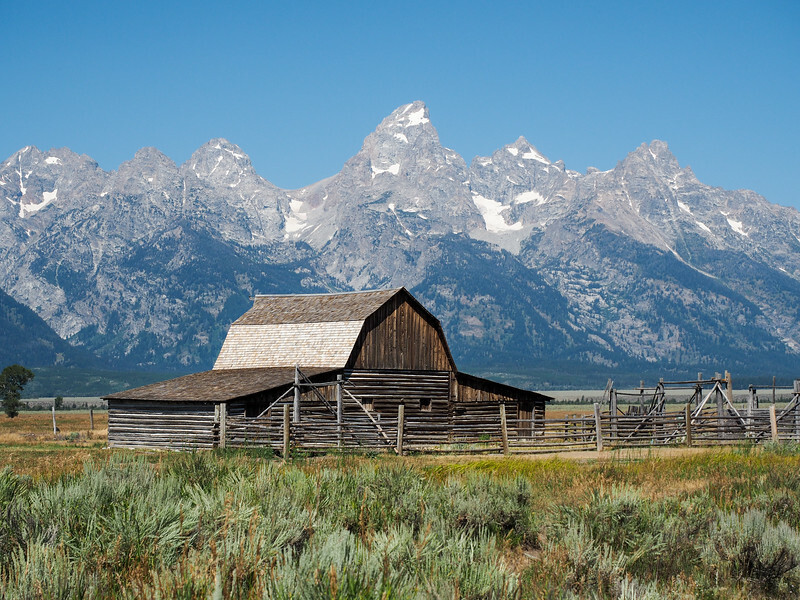 Start your morning with a stop at Mormon Row, just past Moose Junction on Highway 191 in Grand Teton National Park. Mormon Row is a collection of old homesteads and barns that once belonged to early settlers of this region. The old wooden barns especially look great in the morning hours, with the jagged mountains illuminated behind them. 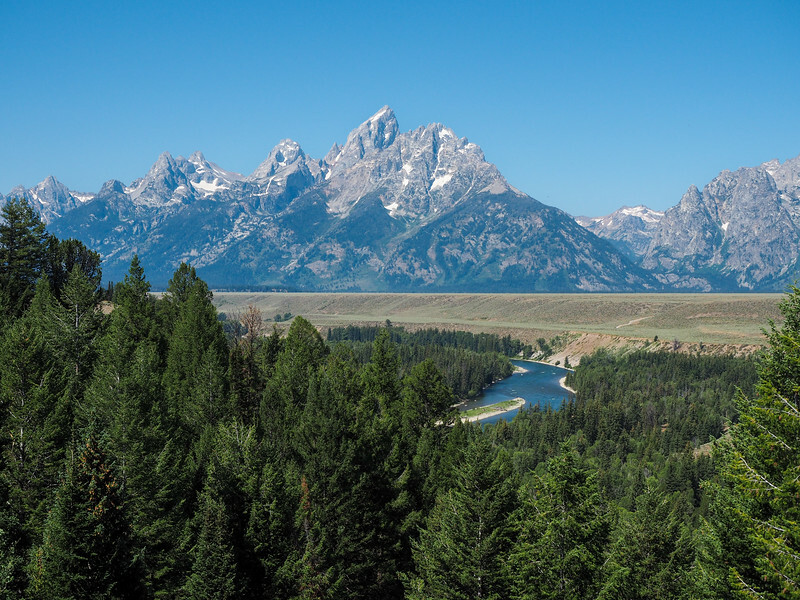 On your way north, you can visit a couple of the viewpoints you missed yesterday, like Snake River Overlook (made famous by photographer Ansel Adams). 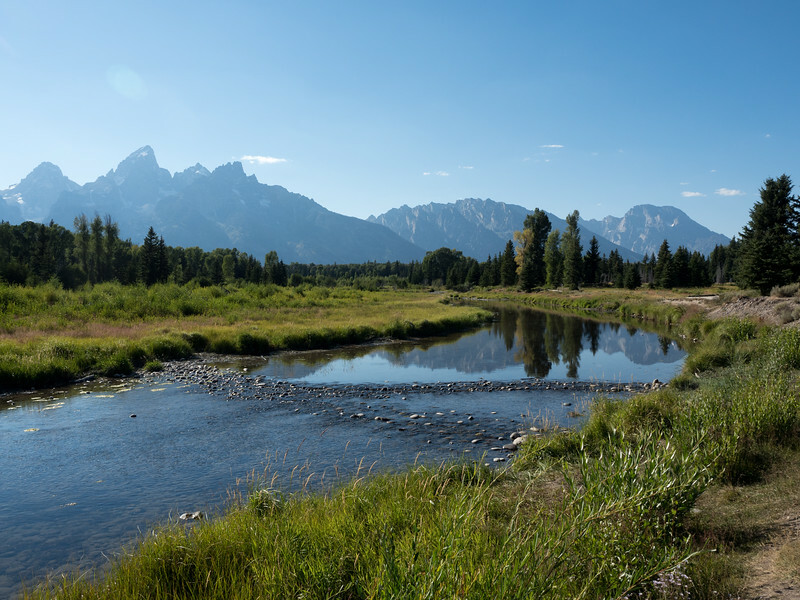 Further north, Oxbow Bend and Willow Flats are also worth a stop, and are spots where you may be able to see wildlife like moose and bear. You'll then skirt along Jackson Lake, and will eventually reach the south entrance to Yellowstone National Park. Today, I would make your focus in Yellowstone the geyser basins and Old Faithful area in the southwest corner of the park. There's a LOT to see and do here depending on how much walking you do/don't want to do. 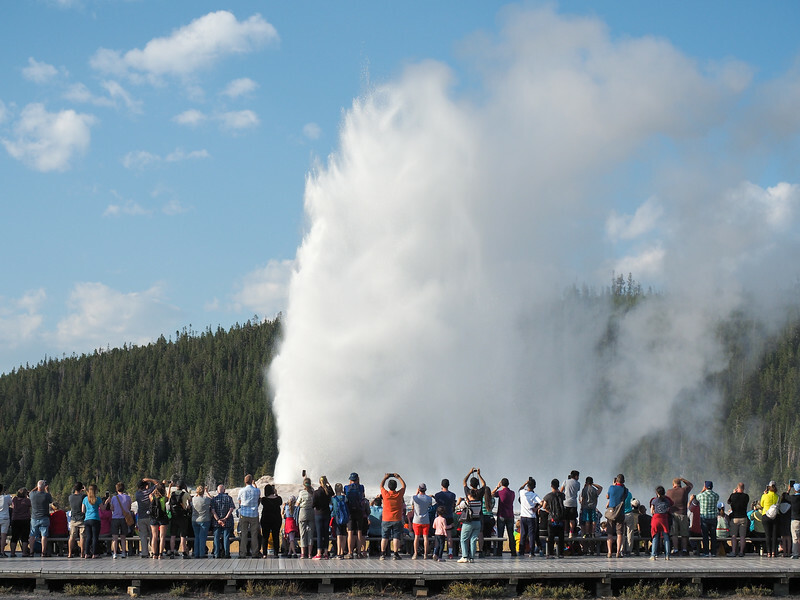 Stop first at the Old Faithful Visitor Center to learn about the area's geological history, and find out when the famous geyser is predicted to erupt next (they can usually predict it within about 10 minutes). There will be a lot of people waiting to see the geyser, but the viewing area outside is huge, so it's worth sticking around for. There are short walks around the Old Faithful area you can do, too, to see more geysers in the Upper Geyser Basin. 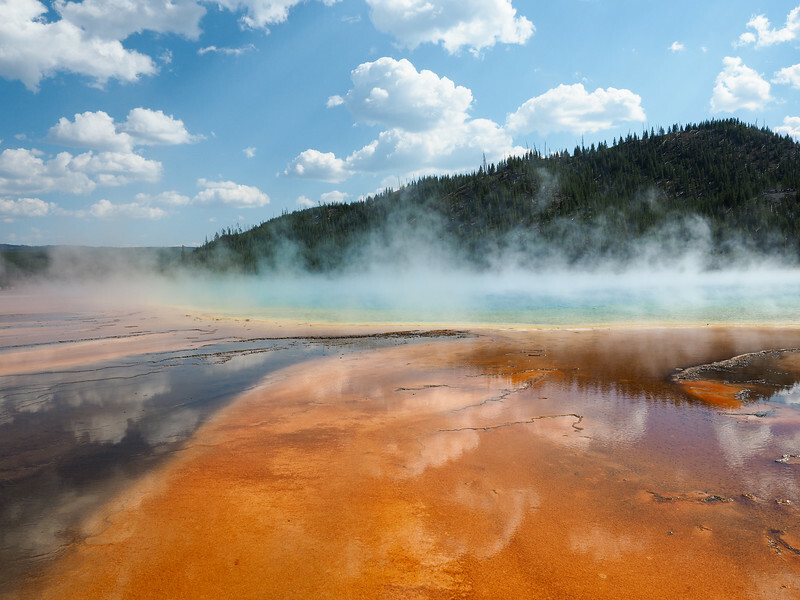 From Old Faithful, head up to the Midway Geyser Basin, home to the famous Grand Prismatic Spring. If you want the BEST view of this geothermal wonder, pull off at the Fairy Falls trailhead *before* you reach the Midway Geyser Basin. 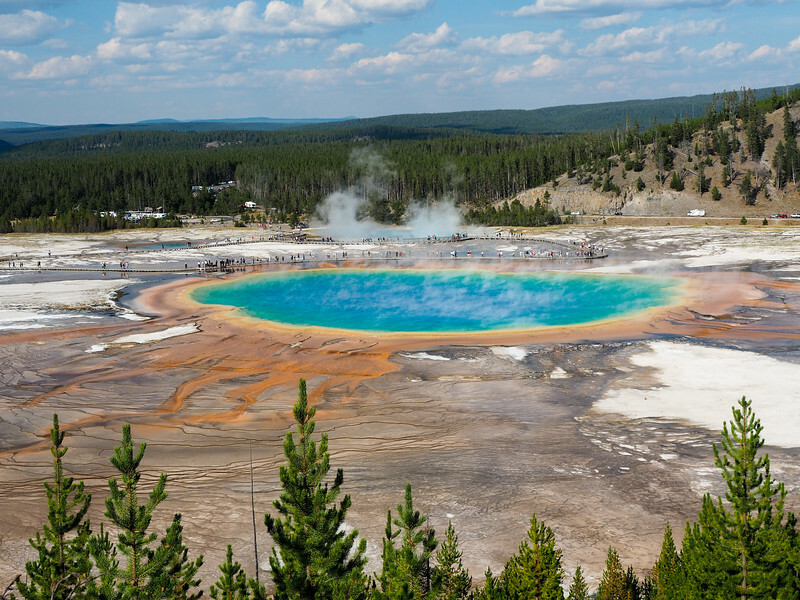 Here, you can take an easy 15-minute walk up a hill to see Grand Prismatic Spring from above! 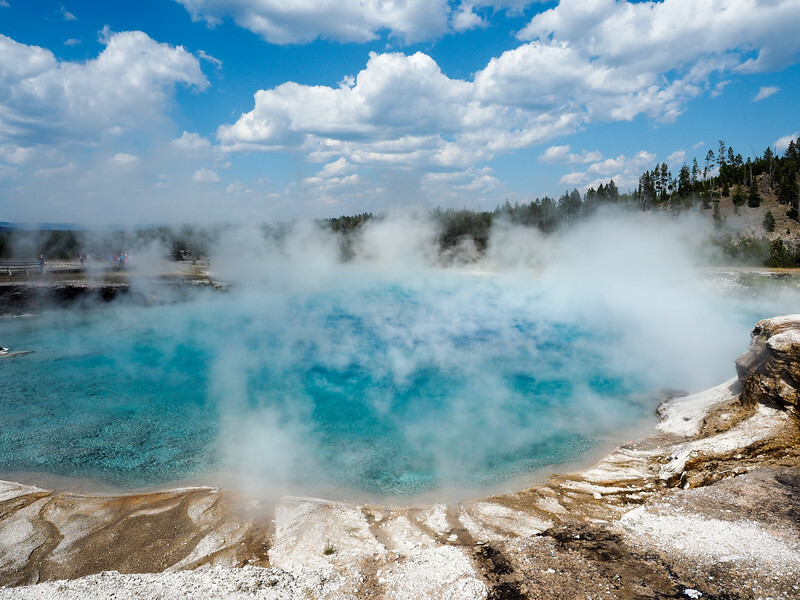 Then head down to the Midway Geyser Basin proper to walk the boardwalks around the Excelsior Geyser Crater and Grand Prismatic Spring. This is one of the most popular parts of Yellowstone, so you'll probably need some patience to find parking here. It's worth it, though, I promise. Once you've had your fill of geysers, make your way through Madison and to the West Entrance of Yellowstone, where you'll stay tonight. Where to stay in West Yellowstone: West Yellowstone is filled to the brim with motels and other accommodation options, but many are expensive and book up quickly during the summer months. As with Jackson, book early and be prepared to splurge a bit here! Good hotel/motel options include the Kelly Inn and the Explorer Cabins at Yellowstone. If you want something a little more rustic (but still super cool), my sister and I stayed at Yellowstone Under Canvas, a very cool glamping site complete with s'mores around a campfire at night. 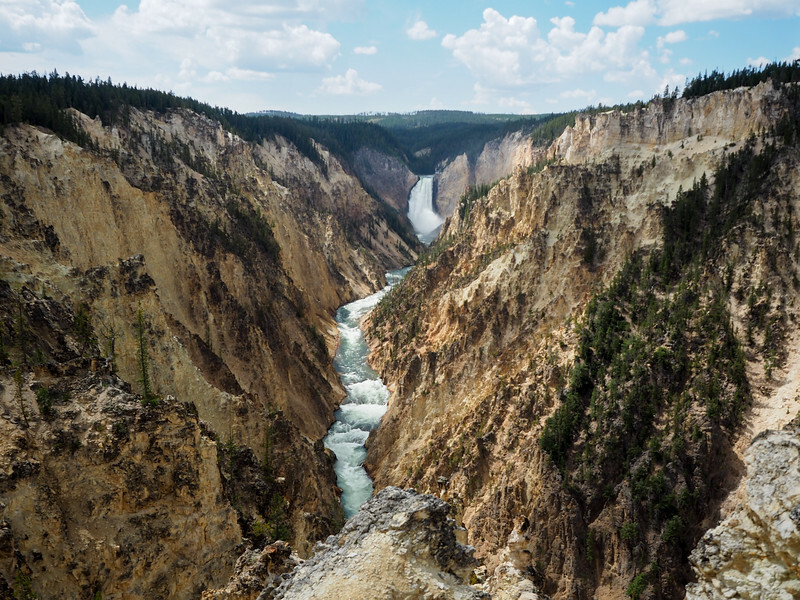 Get ready for a full day of exploring Yellowstone National Park today! 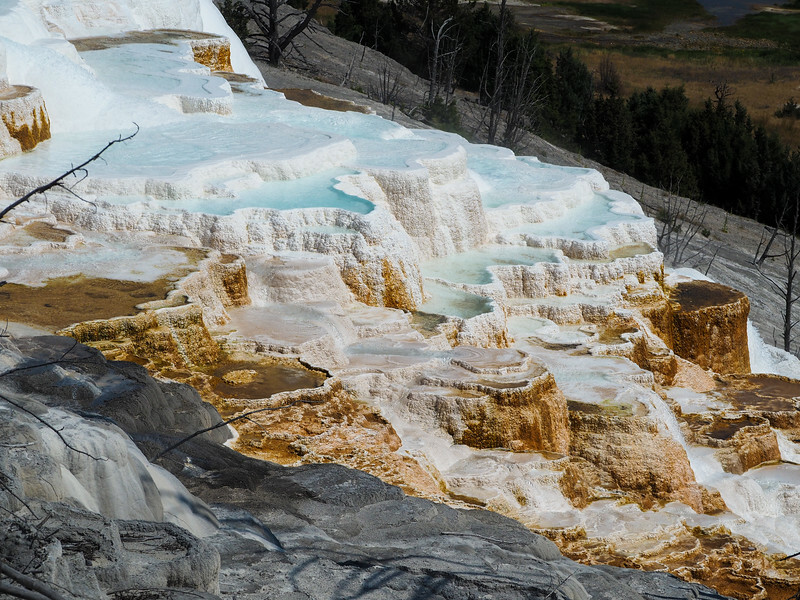 Start your morning with a visit to Mammoth Hot Springs, the other major geothermal area in the park. Here, the Albright Visitor Center is worth checking out, and there's a cute general store in “town” where you might want to grab snacks for the day. Park at the Upper Terraces and walk the boardwalks over the hot springs and down to a viewpoint of the terraces and Canary Spring. Then you can also walk down to the Lower Terraces and around all the crazy, steaming formations if you have time. From Mammoth Hot Springs, either retrace your route south through Norris, or head east to Tower-Roosevelt and then make your way to Canyon Village. Check out the visitor center here to learn all about the Yellowstone Super Volcano, and grab a quick lunch at the Canyon Lodge Cafeteria. Next, it's on to see the Grand Canyon of Yellowstone. There's a North Rim and a South Rim drive here, with several short hikes to overlooks. You can walk to the brink of both the Upper and Lower falls, and I also highly recommend driving out to Artist's Point, which has arguably the best view of the entire canyon. After spending some time at the canyon, spend the remainder of your afternoon/evening looking for wildlife. Head back north of Canyon Village to Tower-Roosevelt, where you'll turn east into the Lamar Valley. 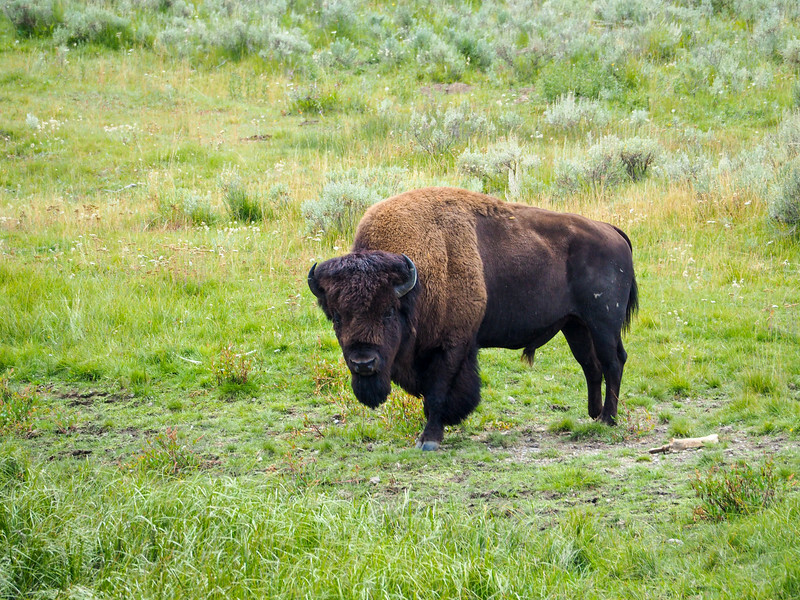 This is one of the best parts of Yellowstone for wildlife sightings, including the park's bison herds and wolf packs. And the early evening right before dusk is the best time of day to spot them. We didn't see an wolves, but did spot plenty of bison! After (hopefully) having some good wildlife sightings, continue to the Northeast Entrance of the park, where you'll stay in Cooke City, Montana. Where to stay in Cooke City: Motels and B&Bs are your choices here – check out places to stay in Cooke City here. Feel free to have a lie in this morning since you won't be driving too far – it's less than 3 hours to Billings, Montana. Billings is the largest city in the state of Montana, and has been nicknamed “Montana's Trailhead” thanks to its proximity to nature and miles of scenic trails. And if you want to add something fun to your walk? Billings is also home to the only self–guided, walkable brewery trail in Montana. The city's unofficial “brewery district” is located downtown and includes six breweries, two distilleries, and a cider house, all within easy walking distance. 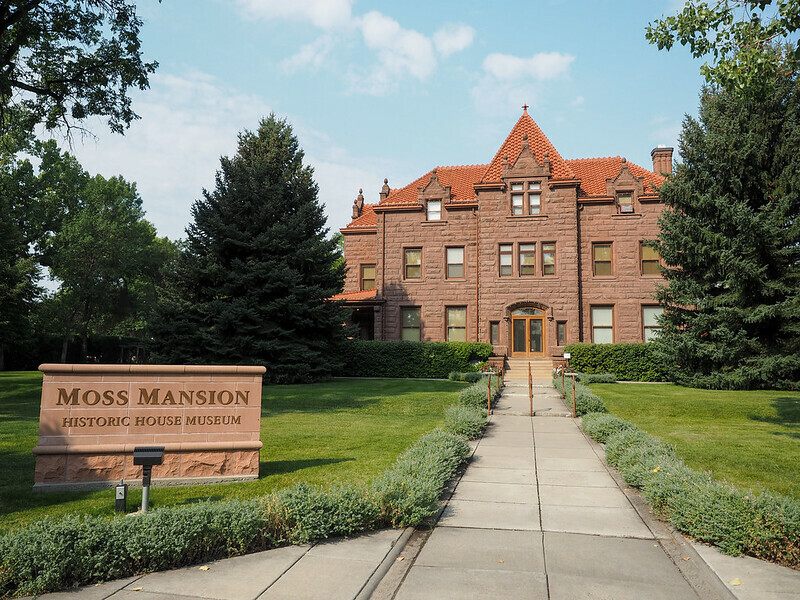 Another point of interest in Billings is the Moss Mansion, a stately home built in 1903 by local businessman Preston Boyd Moss. My sister and I love being nosy in old houses, and therefore added this to our itinerary in Billings. 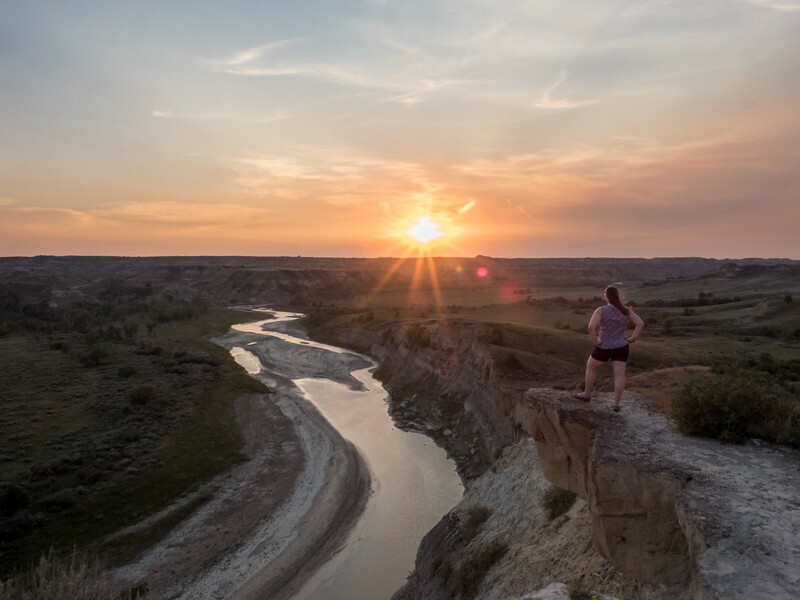 You may not think there's much to see between central Montana and, well, anywhere in North Dakota – but you would be wrong! I've got a couple goodies up my sleeve for Day 10 of your trip. 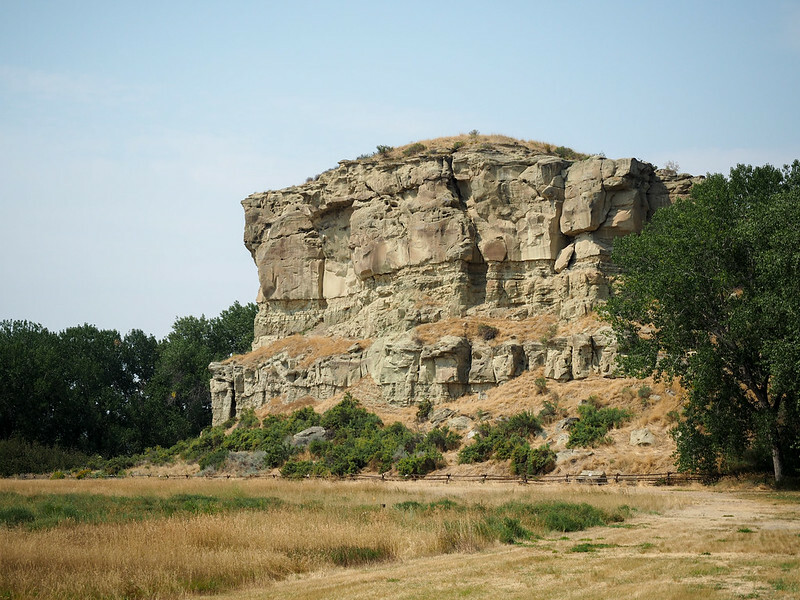 Head east out of Billings on I-94, and it's only about half an hour to your first stop: Pompeys Pillar National Monument. Remember back in elementary or middle school when you learned about Lewis and Clark and Sacagawea and their expedition to explore and map the West? Well it just so happens that their party passed through this part of Montana, and William Clark carved his name in a rock. 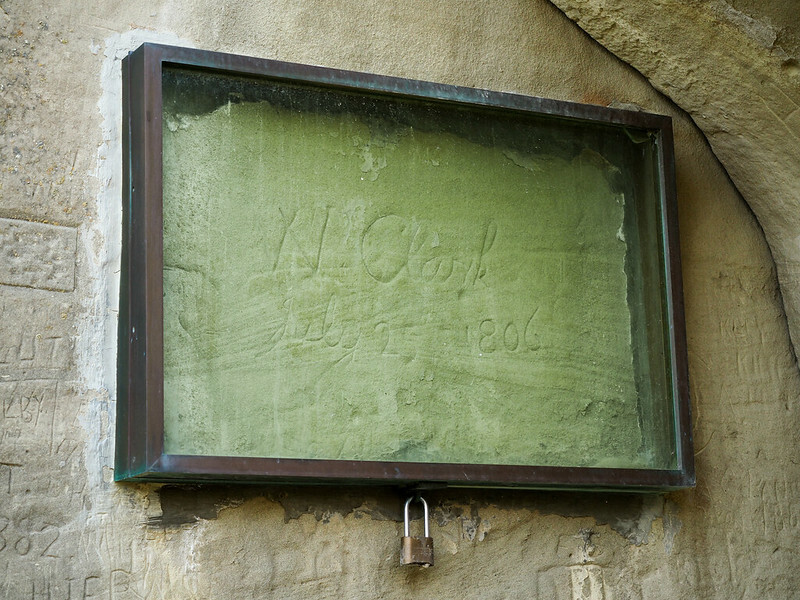 This carving – made in 1806 – is the only remaining physical evidence of the entire Lewis and Clark Expedition. The visitor center at Pompeys Pillar National Monument does a good job of walking you through Lewis and Clark's history and journey, and then you have the chance to climb some wooden steps to see the historic graffiti up close. From Pompey's Pillar, you're going to get on I-94 and just drive for a bit. 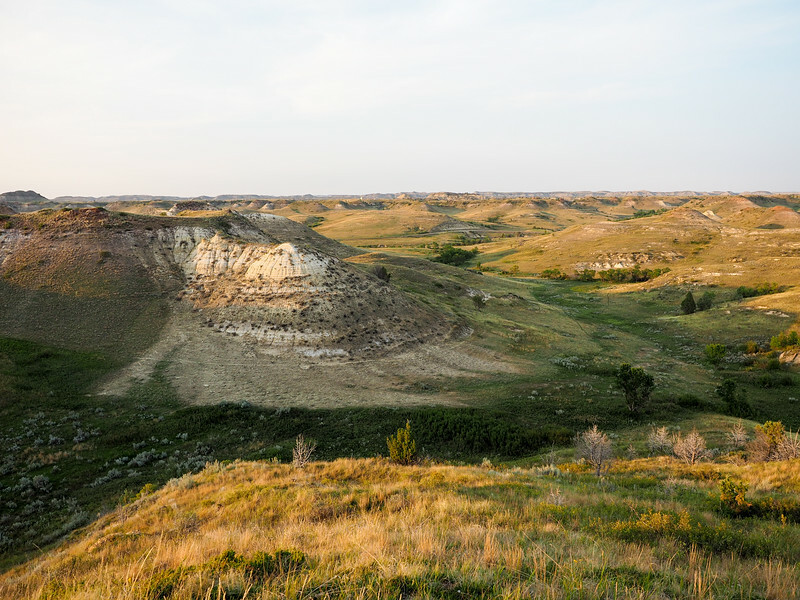 You'll pass through Miles City and Glendive, and not far over the North Dakota border you'll reach the town of Medora. 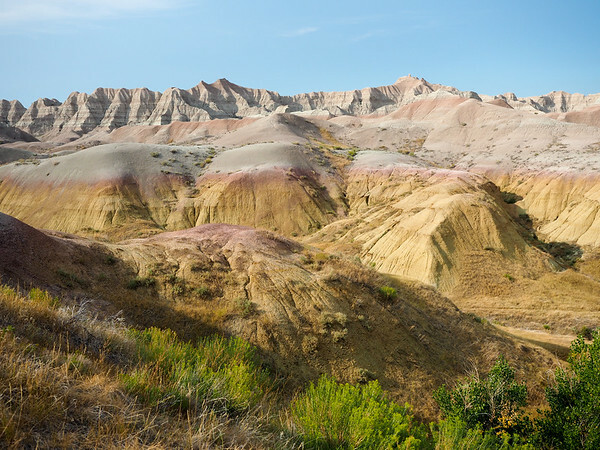 Here you'll find a national park that you've probably never heard of before: Theodore Roosevelt National Park. One of the only national parks to be named after a person, this national park covers over 110,000 square miles in three different “units.” The one just off I-94 is the South Unit, which is the largest of the three. The park has a scenic drive and some great wildlife viewing – “great” mostly because there's little traffic, and you'll have a lot of wildlife sightings completely to yourself. We visited Theodore Roosevelt National Park in the later afternoon and stayed until sunset, watching the sun go down from the Wind Canyon Trail. 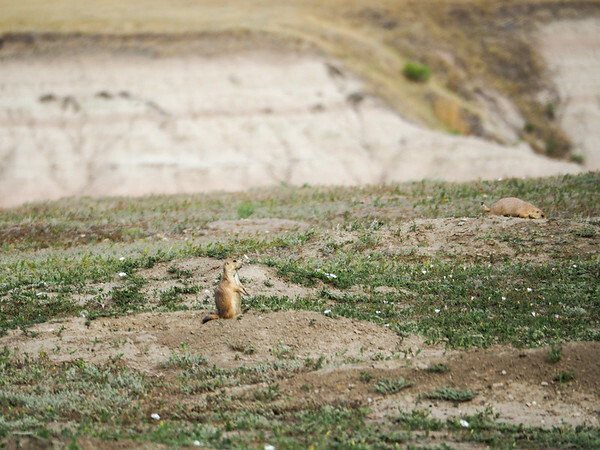 There are several short hikes in the park, a couple prairie dog “towns,” and animals like bison and even wild horses to look out for. Where to stay in Medora: Medora may look like a “blink and you'll miss it” sort of town, but it actually has a couple of hotels and the famous Medora Musical, an outdoor western-style musical show that runs all summer. For hotels, check out the Rough Riders Hotel, where rooms come complete with a Teddy Bear (in honor of Theodore “Teddy” Roosevelt). Today you'll make your way across North Dakota to Fargo, on the state's eastern border with Minnesota. Since you'll likely want to stop somewhere along the way, I recommend Jamestown, about halfway between Bismarck and Fargo. Here you'll find both the National Buffalo Museum and a recreated frontier village. 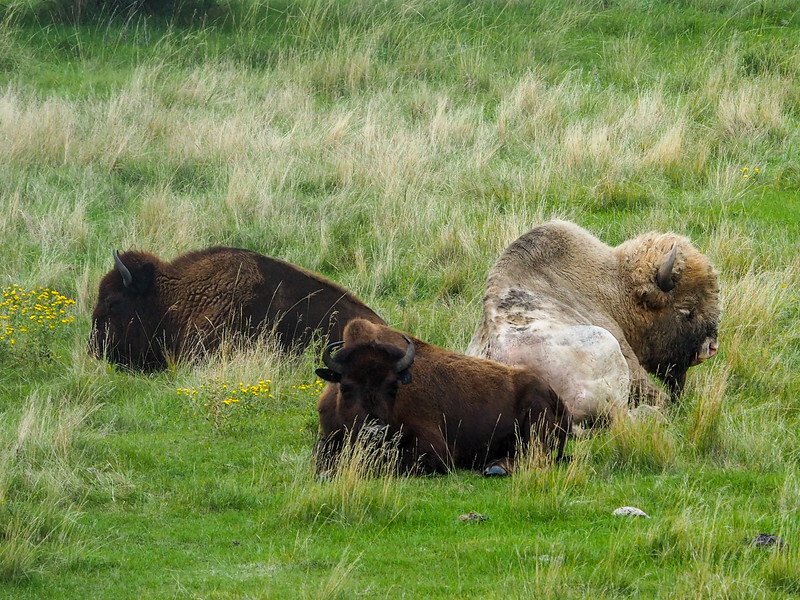 At the National Buffalo Museum, you can learn all about the great herds of bison that used to roam the prairies, and also may be lucky enough to see one of the albino bisons that live in the local herd. Then you can also stretch your legs in the pioneer town, which is really cute! Rare (and sacred) albino bison! If you get to Fargo early, take some time to stroll through this historic downtown area, and perhaps visit the Plains Art Museum, which has everything from traditional American Indian and folk art to national and regional contemporary art. Where to stay in Fargo: Homewood Suites by Hilton is top-rated in Fargo, but you know I don't like to recommend boring chain hotels if I can help it! For history and character in Fargo, check out The Hotel Donaldson, a boutique hotel right in the heart of the city. Today is the last day of your adventure. It's roughly 3.5 hours back to either Minneapolis or Sioux Falls, depending on where you wanted to start/end your road trip. Buy a National Parks Pass. This road trip itinerary has you visiting a bunch of national parks and monuments, all of which charge a per-car entrance fee. 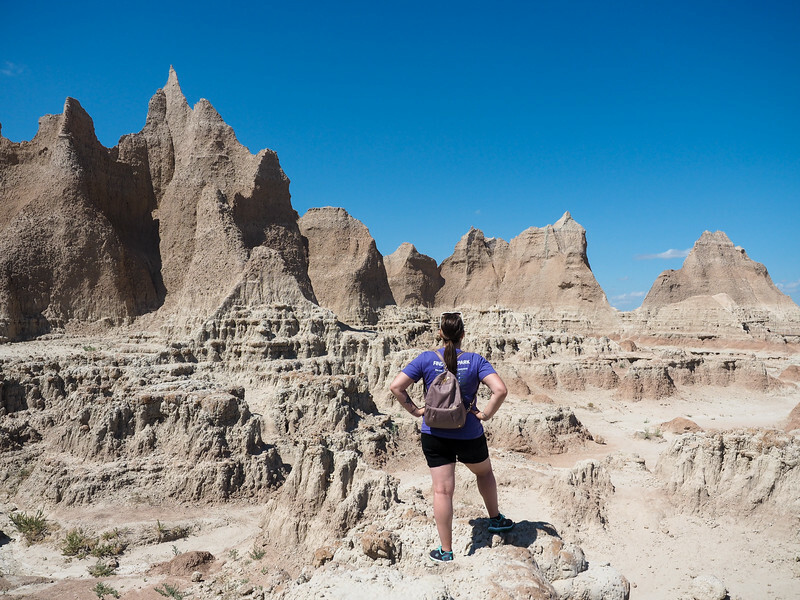 You can save some money by getting a National Parks Pass either before you leave or when you arrive at the Badlands. The pass costs $80, and then is good for an entire year at any NPS-managed site. Without a parks pass, you'll be spending roughly $150 on entry fees for this trip. Make sure you have extra water. Dehydration is not a joke, and can be a very real threat if you’re traveling out West during the summer. Always have extra water (pack a cooler in your trunk! ), because you never know when you might need it. Most national parks will have water bottle filling stations, but be sure to have a reusable water bottle (I love my Camelbak Chute) or a hydration pack with you – and fill up at every opportunity. Don't forget your travel insurance. For any major trip (and especially one where you’re going to be driving through unfamiliar territory), I always recommend purchasing travel insurance. If you rent a car (or drive your own), your car should be covered in case of an accident. But what about all the other things that could potentially happen to YOU? I recommend World Nomads for basic (and really affordable) travel insurance – because you just never know! 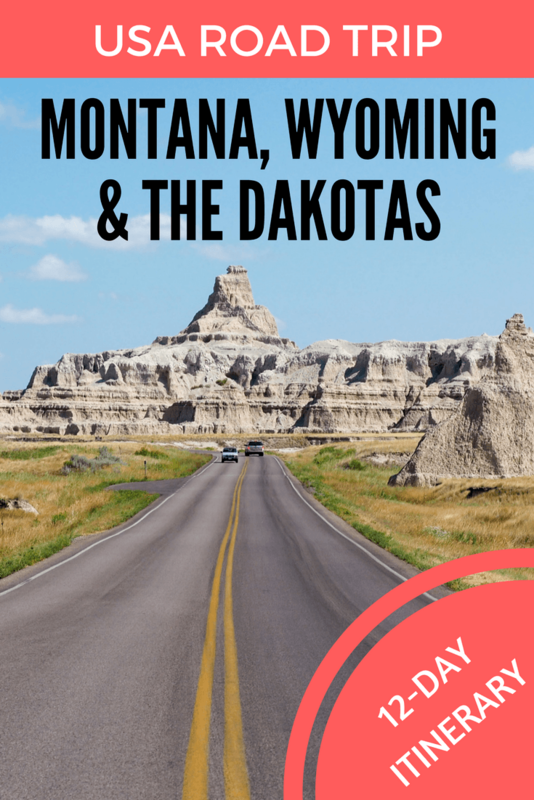 Who's ready to plan a road trip through Montana, Wyoming, and the Dakotas? It’s true! Almost every state here is different. Which is why choosing one area to focus on at a time is smart! This is an amazing guide, Amanda. Thank you so much for putting it together. This is my DREAM road trip and I hope to make it happen soon! Thanks, Pauline! It was a great trip – I hope you get to do it yourself soon! We do a lot of roadtrips through these states and you’ve included many of our favorite stops! Our visit to Jackson Hole, through the Teton Pass, in the winter, taught us a lot about chain laws — we’d visited for the snowmobile hill climbing event, which was great. Now, we have to do a summer visit! I’ve only visited in summer, but can imagine how different it must be during the winter months! I’ve been to South Dakota once, Wyoming many times, and Montana a couple times. I’m doing a similar road trip this summer. We’re starting in Kansas City, MO, where we currently live, driving up through Omaha, NE; Sioux City, SD; and stopping in De Smet, SD, home of many Laura Ingalls Wilder sites, setting of five of her Little House on the Prairie books. Then up to North Dakota for the first time, and spend a night in Bismarck, ND (or another nearby city). Visit Theodore Roosevelt National Park the next morning, and drive down through Billings, MT, along the famously beautiful Beartooth Highway, to Yellowstone National Park, my favorite park. Where we’ll stay four days at our favorite lodging, the Old Faithful Inn, in the Old House, the only place to stay in Yellowstone, as far as we’re concerned. We’ll stop in Bozeman, MT one night. Drive through either Butte, or Helena, MT; Missoula, MT, on our way to St. Ignatius, MT, where we’ll stay in a place owned by extended family. We’ll bike the Hiawatha Trail, visit the National Bison Range, go white water rafting, go jet-skiing, visit cute towns, like Polson, Big Fork, Kalispell and Whitefish, and possibly visit one of my other favorite parks, Glacier National Park. On the way home I might hit up the city I didn’t choose before, between Butte and Helena. We’ll go through Billings again, down through the wild west town of Sheridan, WY. I haven’t decided on our home route. Either through Devils Tower, and spend some time in the Black Hills area, which I love. Or, go somewhere new: Estes Park, CO, and the Stephen King famous Stanley Hotel, and Rocky Mountain Park. Then drive through Denver on our way home. @Tonya what an adventure! how long were you away for and how much of this did you actually do? Wow Amanda! LOVE these shots and trips. We are enjoying some similar jaw-dropping views in your beloved NZ now. Last month we chilled in Opotiki on the North Island. This past week it has been Timaru on the South Island. The Southern Alps, Lake Tekapo, the boulders, fur seals, all packed into some brilliant road trips around the region. Best way to really see and feel a place, via car, with some walking worked in. Thanks for sharing! I agree! Road tripping is definitely the best way to see just about any country! Of course, I have a tendency to try to pack way too much into my road trips! Haha. I’ve already been to 5 National Parks in the US, and they were brilliant. So yeah, I’d absolutely go on a roadtrip to Dakotaaaaaaaa! I think South Dakota is probably one of the more underrated states in the US! What an excellent post Amanda! I am so envious and inspired at the same time! I would love to do this roadtrip especially since it has so much beauty but is not one of the cliché places to visit just to visit. Thank you for sharing. BTW, I can’t seem to manage to pin your photos? Thanks, Ana! This is definitely a very cool part of the US, and one that hasn’t been visited to death by other travelers yet! As for pinning my photos… hmmm that’s weird. I’m able to pin them using my browser extension, or by clicking the Pinterest button in the sharing bar at the top/bottom of my post. Not sure what the problem might be! This looks like such a good road trip! 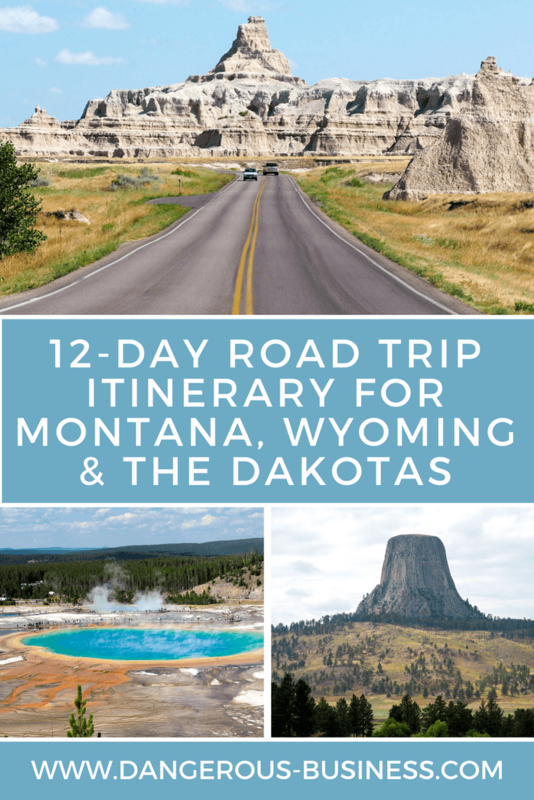 I’m hoping to hit Yellowstone later on this year but it’s already gonna be such a packed trip that I don’t think we’ll have time to do anywhere else on this list (except probably Montana!). But I wanna do all of these!! This is perfect! What a great itinerary. And yes, those northern states don’t get loved, even by me. Now is the time to plan that road trip! They’re definitely worth the trip!! I still need to go back and see more, especially of Montana! An awesome itinerary! I’ve done plenty of exploring in the Tetons and Yellowstone (I lived in Grand Teton NP for three years working for a lodge company!) but haven’t spent any time in the other places you listed; this definitely makes me want to go! I’m not sure about camping in the other places though, since I haven’t visited them yet! Yes, camping is always an option! I’m personally not much of a camper, though, so it’s not something I tend to personally recommend, simply because it’s not how I travel! But it definitely can help save some money. Based only on my research…..We are going to Idaho Wyoming and Montana soon. 1. a hotspring experience: developed or undeveloped. 3. Visit an old ghost town. 4. Pan for gold in Confederate gulch. 6. Raft the Salmon River. 7. Climb the Tetons, on what I believe is its only hiking trail to the top. 8. Line dance in a real old west saloon. I’m sure there will be others I came up with once we complete our road trip! Sounds like it’s going to be a fun trip! This looks great and I assume would be good for a solo traveler. Is there a way to print just the itinerary? Also, what month did you go or do you recommend? As long as you like solo road trips, yes, you could totally do this as a solo traveler! I’m afraid I don’t have any printable itineraries available yet, but it’s something I’m working on! As for when to go, I did this trip in August. I’d say any time from spring to fall would be good; I’m not sure about going in winter. This is THE trip my husband and I want to do next year. We’re going to do our best to follow most of your recommendations. Is there a “best” time of year to go? It will be the 2 of us so no worries about kids/schools. We’re thinking May/June before everyone starts their family vacations. Thoughts? Awesome! It’s a great road trip! And yes, if you can avoid the mid-summer months (July and August) I would since that’s the busiest time in the national parks. I think May/early June sounds great! well….I just booked this whole trip for the last week of May/first week of June next year. Going to do my best to see and do as many of the things you listed! Nice! Hope you have a great time! How can I copy your plan without all the pictures? Hi Peggy. I’m working on turning these itineraries into printable PDFs, but I’m afraid I haven’t completed them yet. Right now, your best bet would be to copy the text you want into a Word doc and print it yourself. Can you add a map? I absolutely love this trip planning. I’m actually hoping to make the same trip for my honeymoon. I’m also leaving from the east coast and would love to talk to you more about how long it took you and your sister to get out there and things you may have done on the way to and from. Hey there! All of my tips for this specific road trip are all in this post – this is exactly what my sister and I did! We started in Ohio, but other than 2 long driving days and an overnight in Iowa, we didn’t do anything else exciting on the way to South Dakota. If you’re coming from the East Coast, then I’d say you need at LEAST 3 weeks to properly see the northern part of the US! Sad you missed one of the best spots in North Dakota. The International Peace Gardens, 13 miles north of Dunseith on hwy 3 and 281. This is a park that allows you to cross over into both the US side and Canadian side of the part. If you like flowers you will think you went to heaven. Impressive and well worth the time to go out of your way a little bit. I’m going to follow this itinerary for a solo road trip next month! Thanks for all the details!